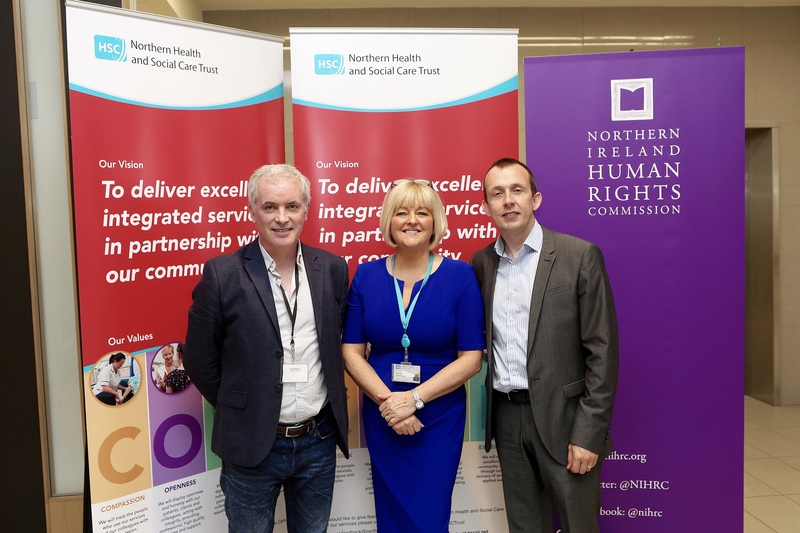 The Northern Ireland Human Rights Commission joined up with the Northern Health and Social Care Trust and Newcastle University at an event in Ballymena Health and Care Centre on Saturday 17 June. Members of the public gave their views on how local community services can be delivered. “This is an innovative and important piece of work. One of the Commission’s recommendations in our inquiry into emergency healthcare in Northern Ireland was the need for a more participative, human rights based approach to the development of future services. The Northern Trust has responded very positively to this recommendation. Engaging and consulting with the people who use the services, listening to their views is one key strand of embedding a human rights based approach into healthcare.